There is no greater challenge for business today than developing and retaining the best employees. with Fortune 500 companies and leaders, Working InSync shows you how to develop and retain the key members of your team. We harness the power of TTI SI DISC assessments to teach your team how to see themselves, their coworkers, and their path to success with clarity and insight. Creating a culture of empowerment and success underpins your company’s ability to retain your most valuable team members in today’s competitive employment market. The fastest path to trouble is through lack of self-awareness. Understanding yourself and others and how they interact with you is the single most fundamental step to enjoying what you do and succeeding. 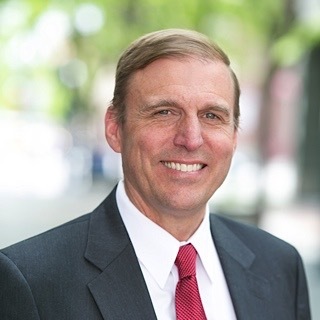 Whit Mitchell is an Executive and Corporate Coach who fosters corporate team success through a focus on team dynamics and personal improvement. He is the founder and CEO of Working InSync International, where for the past 35 years he has worked with Fortune 500 companies, regional corporations, and small businesses to develop dynamic leaders and top-performing teams. Whit has also served as instructor in Executive Education Programs for Harvard, Tuck (Dartmouth), Columbia, Sloan (MIT), and Simon (University of Rochester). Whit’s unique style is rooted in a combination of gentle humor, approachability, and constructive critique he developed as a rowing coach at Dartmouth College, the U.S. Coast Guard Academy, and the University of New Hampshire. Whit was also honored to be able to combine this athletic and corporate wisdom to assist the Boston Bruins in their successful 2011 Stanley Cup campaign.